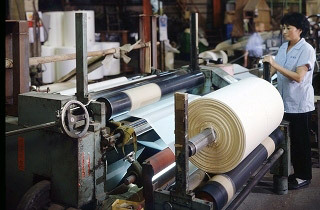 Puli Paper company is a professional paper manufacturing company from Taiwan. | Puli Paper Mfg. Co., Ltd. Welcome to Puli Paper Manufacturing Co., Ltd.
Puli Paper Company, specialty paper and custom paper manufacturer. It's Not Our Passion, But Our Life-Long Tradition That Sets Us Apart. Puli Paper Company is the leading paper manufacturer that has been supplying specialty papers and customized papers to the world since 1979. The company has already obtained the forest management, chain of custody certificates, is in a position to manufacture FSC certified papers. Paper Tape, non-self-adhesive, a colorful floral craft accessory to mask the wire stems. Soft thin paper in wide variety, good for gift wrapping and crafting. Have fun with colorful corruaged cardboard sheets, just crazy creations! Copyright © 2019 Puli Paper Mfg. Co., Ltd. All Rights Reserved.